This beautiful Clan MacDonald Tartan Off-Shoulder Sweater is perfect as a gym cover-up, or something cozy to wear on a day of errands or reading at home. We like to pair it with a neutral tank top underneath, but it's great any way you choose to wear it. All of our Off-Shoulder Sweaters are custom-made-to-order and handcrafted to the highest quality standards. Each sweater is constructed from a premium woven polyester that's ultra-soft and incredibly comfortable. The Clan MacDonald Tartan Off-Shoulder Sweater runs fairly true-to-size, but we all know how varied women's sizing can be. 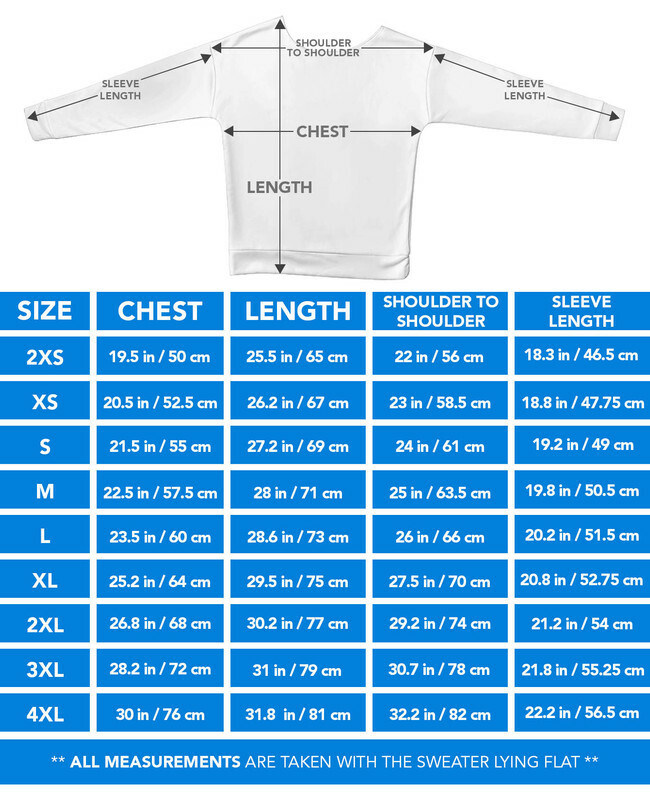 Please refer to the sizing chart below to verify measurements - and remember, they're measuring across, laid flat (as opposed to all the way around). Alexander, Allan, Allanson, Balloch, Beath, Begg, Bowie, Burk, Colson, Connall, Connell, Coull, Coulson, Crombie, Crum, Daniels, Donaldson, Domillson, Galt, Gilbride, Gill, Gorrie, Gowan, Gowrie, Hawthorn, Hewitson, Hewitt, Howison, Hudson, Hughson, Hutchenson, Hutcheson, Hutchinson, Hutchison, Hutson, Isles, Jeffrey, Kean, Keene, Kellie, Kinnell, Leitch, Macallan, Macbeth, MacBride, MacBurie, MacCall, MacCash, MacCaul, MacCluskie, MacColl, MacConnell, MacCoish, MacCook, MacCosram, MacCrain, MacCrindle, MacCririe, MacCruithein, MacCuag, MacCuish, MacCutcheon, MacDaniell, MacDrain, MacEachan, MacElfrish, MacElheran, MacGeachie, MacGeachen, MacGill, MacGillivantie, MacGilp, MacGorrie, MacGoun, MacGowan, MacGown, MacHendry, MacHugh, MacHutcheon, MacIan, MacIlriach, MacIlrevie, MacIlvride, MacIlwraith, MacIsaac, MacKeachan, MacKean, MacKechnie, MacKellachie, MacKellaig, MacKellock, MacKechan, MacKiggan, MacKillop, MacKinnell, MacKissock, MacLardie, MacLarty, MacLaverty, MacMurrick, MacO'Shannaig, MacPhillip, MacQuistan, MacRaith, MacRorie, MacRory, MacRuer, MacRurie, MacShannachan, MacSorley, MacSporran, MacSwan, MacSween, MacVarish, MacWhannell, Mark, Martin, May, Murdoch, Murdoson, Murphy, Norie, O'Drain, O'Shaig, O'Shannachan, O'Shammaig, Park, Paton, Philipson, Purcell, Reoch, Revie, Riach, Ronald, Ronaldson, Rorison, Sanderson, Shannon, Sorely, Sporran, Whannell, Wheelan, Wilkie, Wilkinson. This sweater is custom-made for you at the time of your order. As a result, we are unable to offer refunds except in cases where the item is clearly defective. This product is custom made for you at the time of your order, and typically takes 2-4 weeks to arrive. You'll generally get a tracking number within 7-10 days of your order.